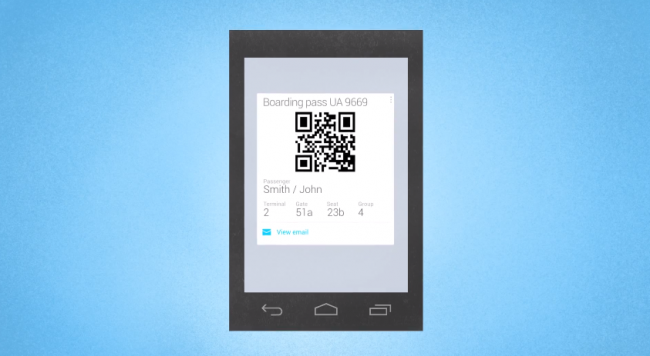 Google Now Boarding Pass Card Goes Live, Is There Anything It Can’t Do? Starting today, Google has flipped the switch on boarding passes through Google Now. When arriving at the airport and given your flight info is in your linked Gmail account, Google Now will prepare your digital boarding pass for easy access once you check-in online, making airports all the less stressful as long as your battery isn’t about to bite the dust. For now, the service is only available for select airlines, but you can expect that to change as time goes by. Fingers crossed Virgin America is supported. For the full list of Google Now cards, check out our post here. Monday Poll: Most Looking Forward to in 2013?